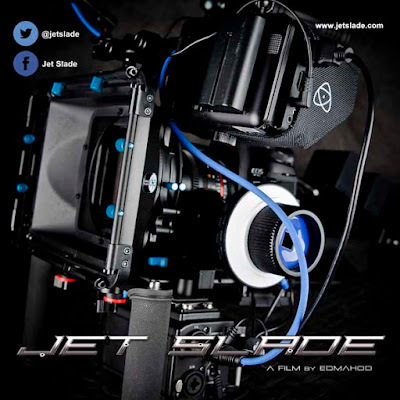 The great thing about making Independent Films (Indie films), it gives aspiring and up and coming actors a chance to show off their talent, where otherwise they may go unnoticed for example... as an Extra in a TV Commercial, Soap or Drama. "It's a calling card" as you might say. The same could also apply to aspiring film makers, no one's going to know what you do if you don't get your work out there and seen. Featuring a strong female cast, Jet Slade: Rise of the Black Hood is an original independent film written, produced and directed by Edmahoo. 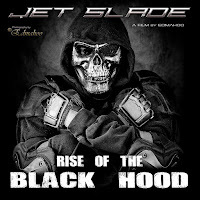 Below is the new official poster for Jet Slade: Rise of the Black Hood. 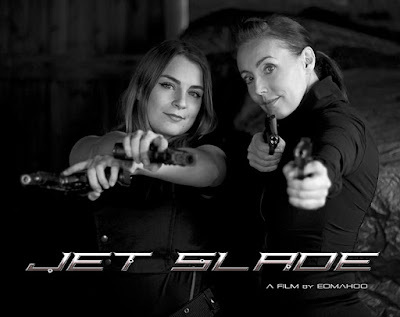 It features (from the left) lead actress Bridgit Houghton, Rochelle Goldman and Ewa Magdalena. 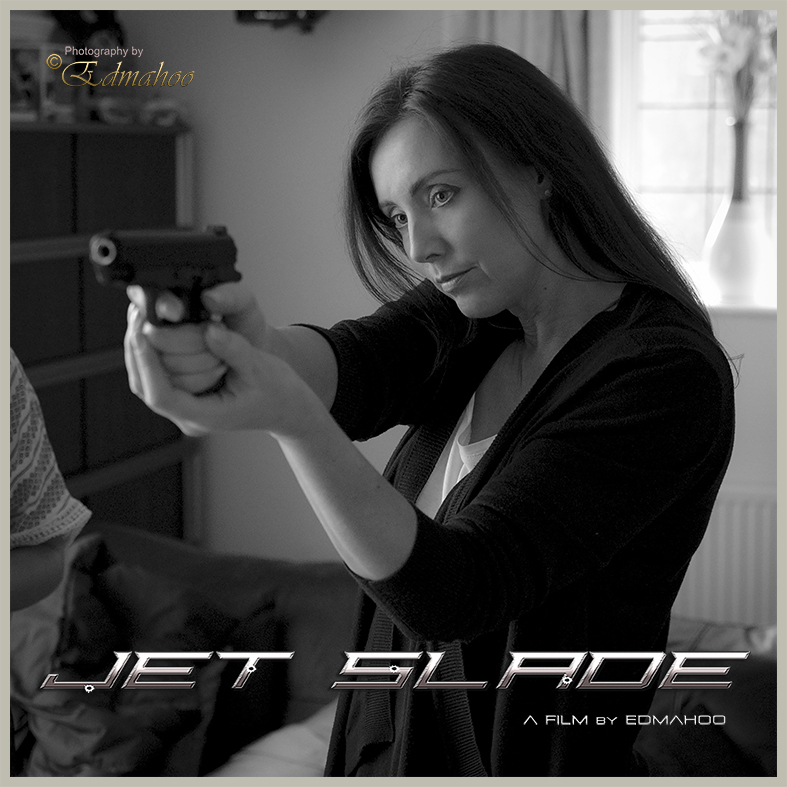 Jet Slade is a rough, tough action-packed film filled with twist and turns. Very cleverly written by Leeds born film maker Edmahoo, Ed uses subliminal information to tell his story. Working on a very tight budget, he imaginatively uses information in the film to otherwise tell the story where it was not possible to film scenes he was unable to capture, by using news and radio reports. This is nothing new but it answers any questions going through the viewers mind. 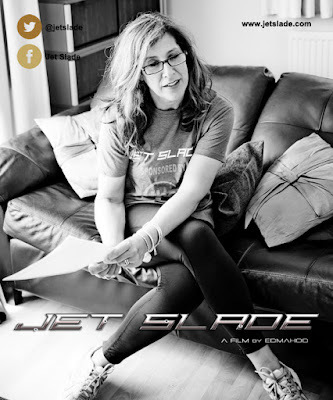 Ed says, "The thing I have really enjoyed about making this feature, is being able to have a story, write a script, plan rehearsals, visualise the scene and location, then filming it. I am able to see it in my mind, then relay it to film." A lot of hard work has gone into the production of Jet Slade, down to finding the suitable actors for his characters. It hasn't been easy and it takes time and that's just the first step. So how does Ed go from idea to paper, to filming a scene? Ed has been very unorthodox with the way he has approached this project, he's had to be! It's not like reading a complete book, where you start from beginning and finish at the end. He has had to film scenes when the actors have been available to film. 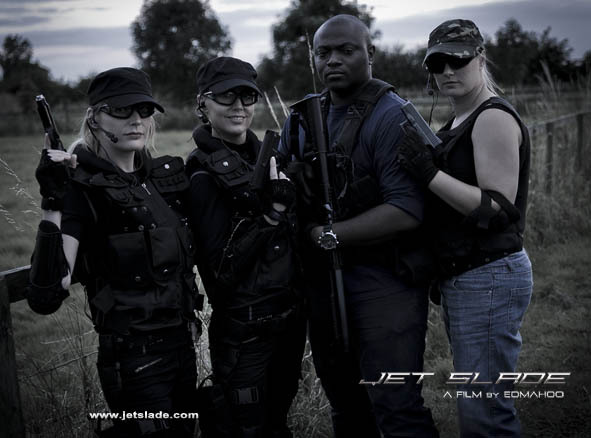 Depending on the script and scene, whether it is indoors out outdoors, Ed is already planning the location and actors involved. He always makes sure the location is in place before he starts any script rehearsals. It is very important and essential that every actor knows exactly what they're doing in the scene, and by having rehearsals it gives Ed and the actors an idea what to expect. 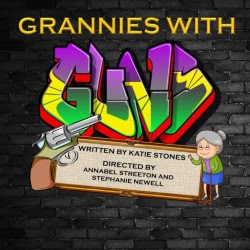 It also gives them time to go through the script and maybe change lines or add actions for eg, sitting down, standing up, holding a pen, looking out of the window, holding a glass, pouring a glass of wine, making a cup of tea or whatever the scene may consist of. It's these subtle and subliminal actions that sets the scene, making it feel more real and natural. Ed likes to leave the room while the actors are rehearsing their lines and listens to them from another room, just to hear what it sounds like, this is where he adds his creative side and starts imagining how the scene will be in his head. 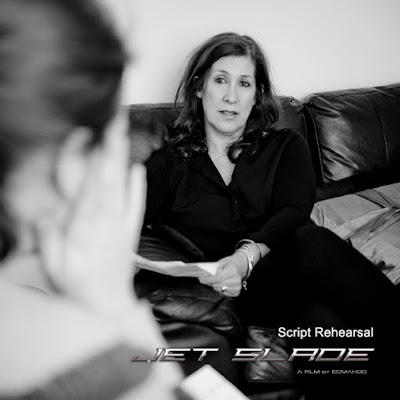 Depending on the time-scale of the scene and what it entails, depends on how many days rehearsals the actors will need. He tends to know this by the first to second rehearsal. Script rehearsals are also a perfect way for Ed to work out camera angles and character positioning. He is not only writing the storyline and scripts, Ed is also the cameraman, so he has to adopt a different title for each role/job. 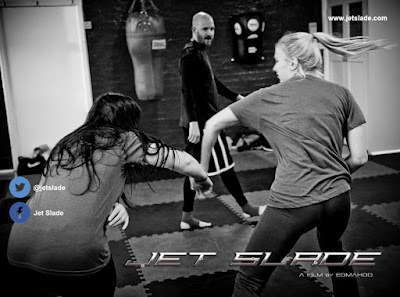 If it is a big rehearsal where it also includes a fight scene, plans are made to rehearse in a bigger room. It means the cast can reenact their scenes in a wider space and the floor is matted in case of any fight scenes. It also helps to record your actors rehearsing so you can review it back, as in the clip below of actors Stephen Johnson and Emma Preston. Above is an image of actors Stephen Johnson and Emma Preston rehearsing their scene. 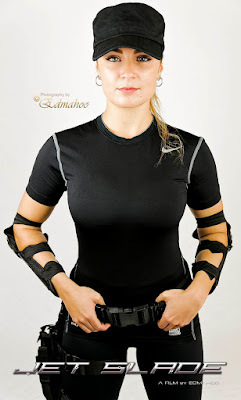 Emma has enjoyed her experience working with us and we hope to work with her again on future projects. 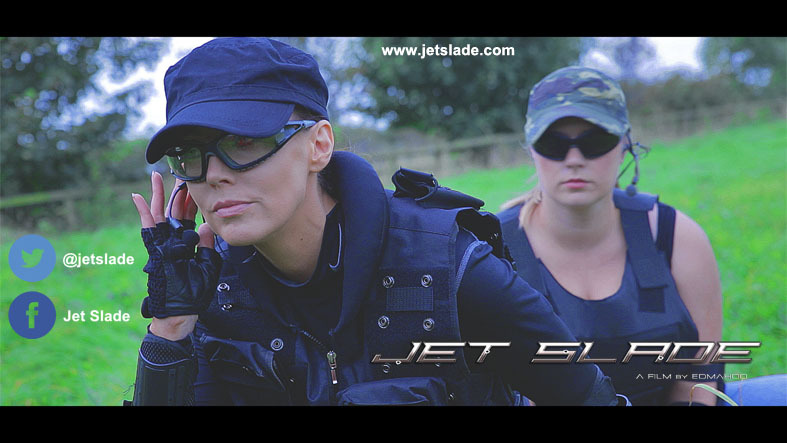 and an action GIF of a scene of them from Jet Slade. Wag Doll (Bridgit Houghton) Wow, what can't we say? 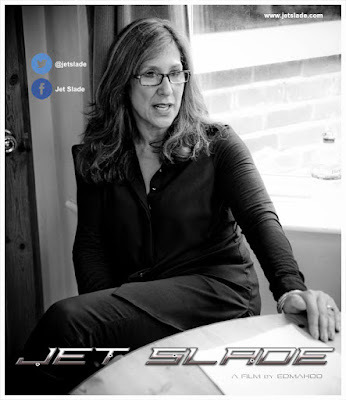 She has been the key asset to the making of Jet Slade: Rise of the Black Hood, dedicating her spare time, support, and effort into making Ed's character Jet come to life. They have worked together on previous projects before and Ed knew right from the start that Bridgit would be his lead female character. 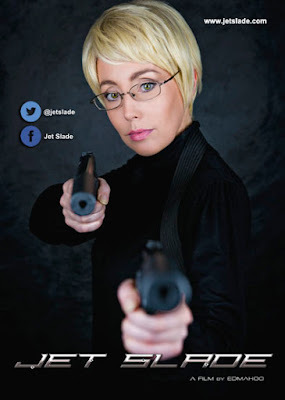 She has really taken on the persona of Jet, making her character her own. 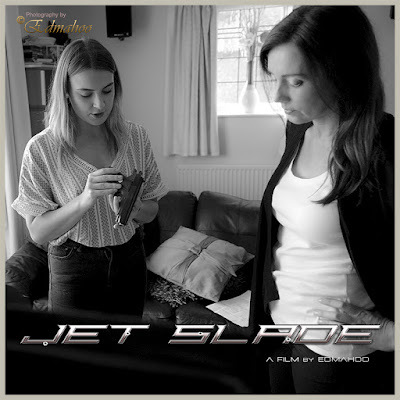 So when Ed presents her with a script, they work on it together to fine tune the details on Jet. 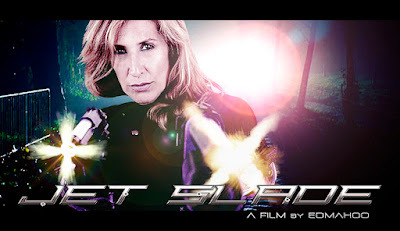 Bridgit has many guises through the film, her character Jet doesn't play by the rules so her costume may vary differently in subtle ways, and so may the rest of the cast who are playing the role of a S.L.A.D.E Enforcer, although they may be in uniform, it gives them a unique and individual look. 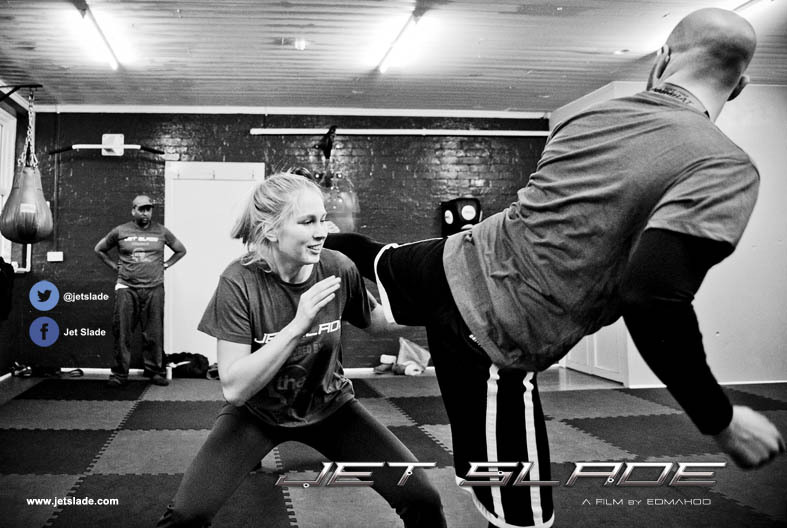 Fight Choreography and Being Behind the Lens. 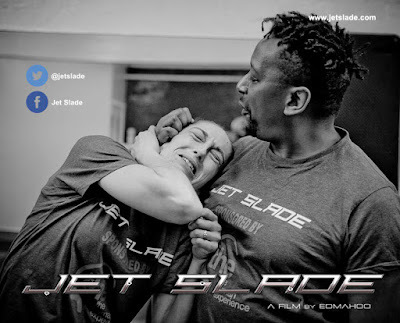 Most of and nearly all of the fight choreography is devised by Ed, he has over 35 years of martial arts experience and holds a 2nd Degree Black Belt in Freestyle Kickboxing. Ed states, "He didn't just want his fight scenes to have a full martial arts feel, but a more street and rough edged look." He devised different fighting styles to suit each character and incorporated it with their fighting style. 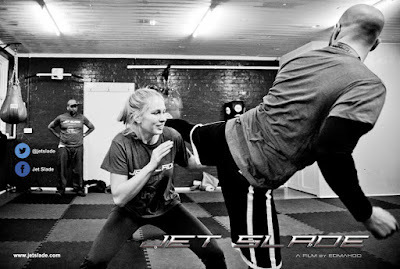 Below is a behind the scenes clip of lead actress Wag Doll, who plays Jet rehearsing with martial artist and boxer Dean Croft. 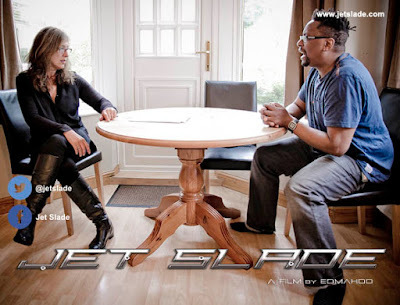 They both worked hard alongside Ed and together their fight scene came out really well. 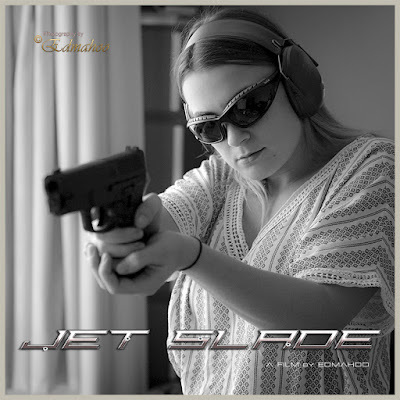 Here is an exclusive clip... It is set ten years earlier in the film and Jet isn't seasoned and refined as she is when she finally becomes a S.L.A.D.E Enforcer. She is rugged, raw and rough behind the edges, but she gets the job done no matter what! One of the biggest advantages Ed has is being the fight choreographer and cameraman, he knows the choreography and understands exactly where he needs to be with the camera to capture the right shot. 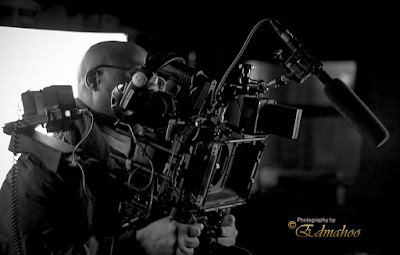 This can sometimes mean, the actors have to repeat there scenes over and over for Ed to capture the shots he needs. 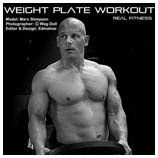 This is where their fitness and conditioning comes into play. 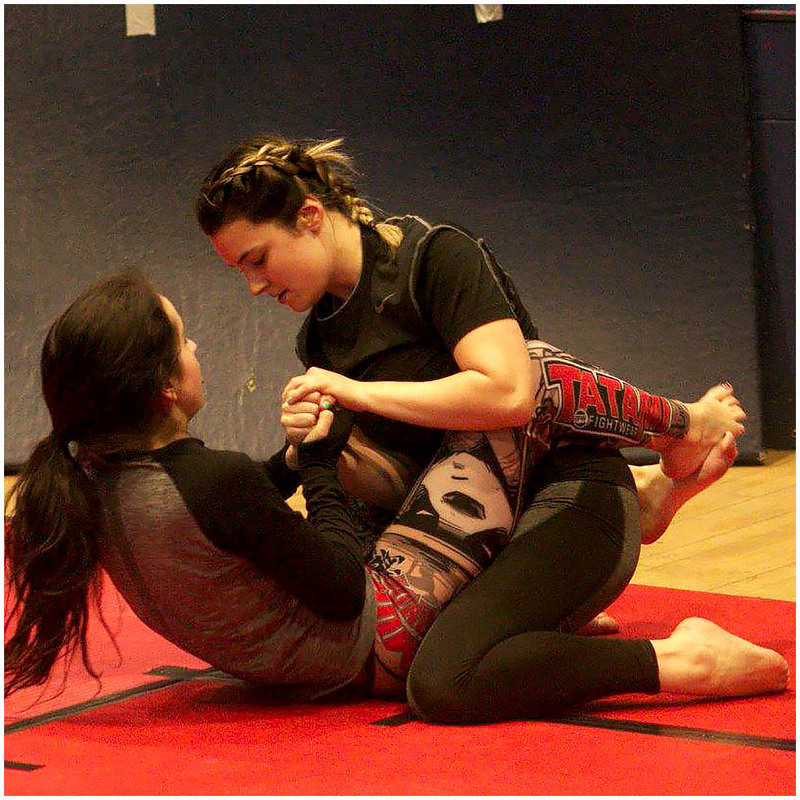 Below is an exclusive behind the scenes footage of Wag Doll training for her character. It was very important to Ed that his characters looked believable on screen. 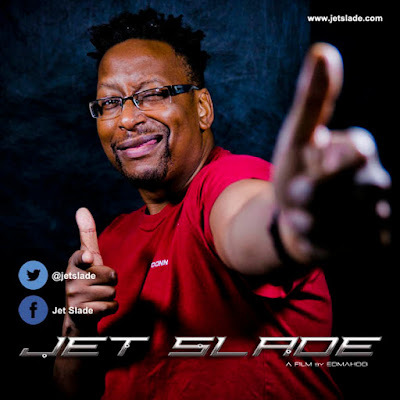 Apart from focusing on film, sound also played a huge part in Jet Slade. Ed is also the sound man for Jet Slade. 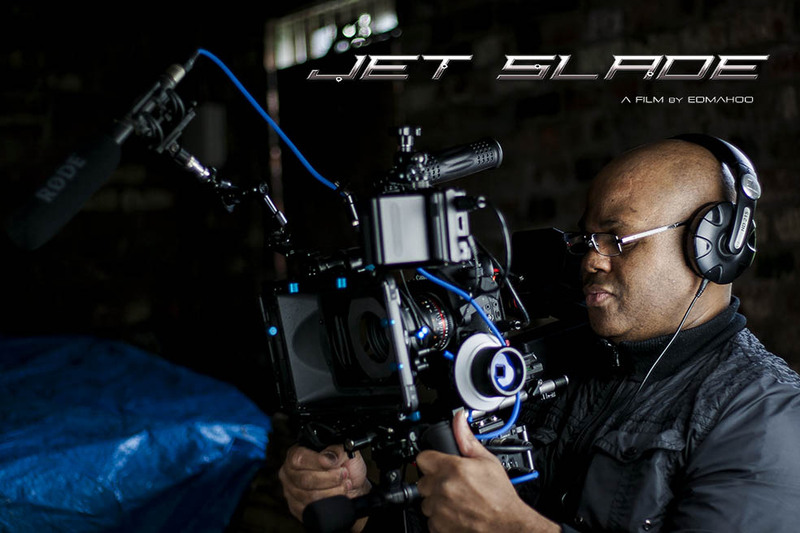 He devised different techniques of capturing the actors voices and customised his camera rig to accommodate different microphone configurations. Also see 'What's Your Focus Pull' for more images of Ed's DSLR Rig setup. 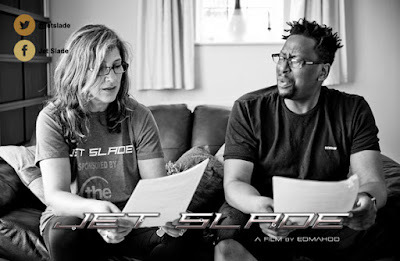 Ed is also composing the music and score for Jet Slade, we were not joking when we said he was a Solo Film Maker. He seems to have taken on board the word Solo literally! Below is a behind the scenes clip of him in the studio. 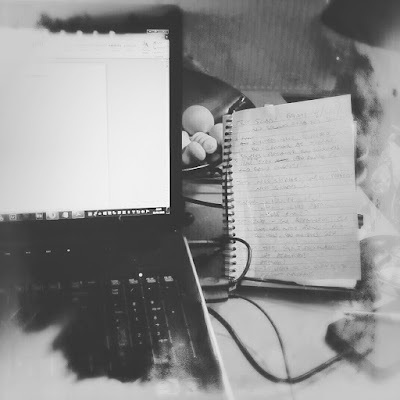 Above is just an insight into what creating a scene entails. We are coming to the final stages of Jet Slade, it's been a roller coaster of a ride but it has also been an experience for us and the cast involved. 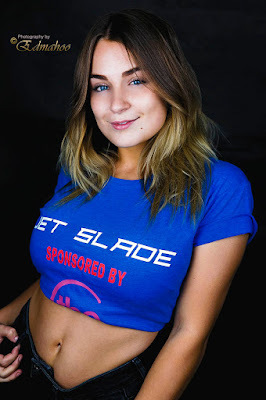 cast member to join us is, Annabel Streeton. 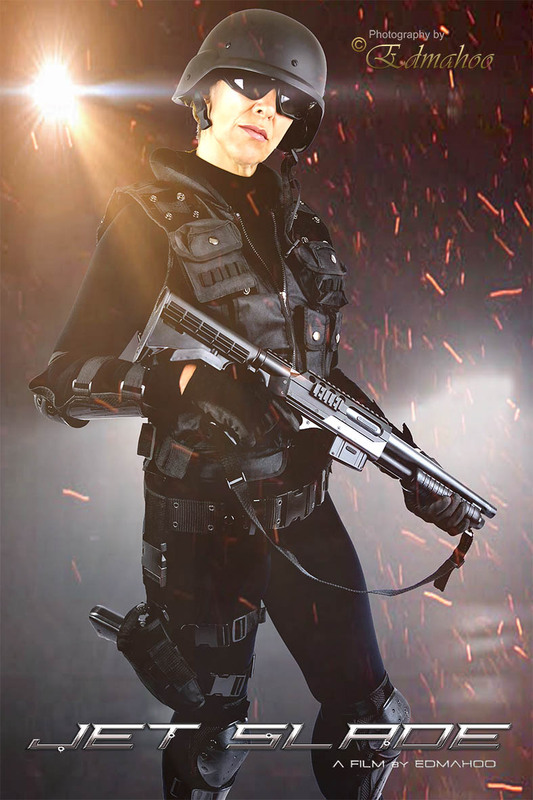 Annabel's role in the film is a SLADE Technician, as seen here in costume in the photo below. 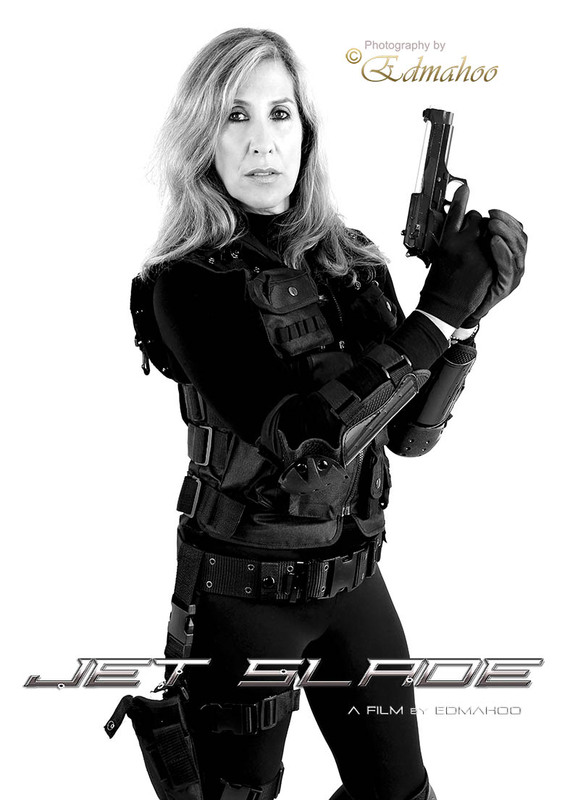 Although she is an Enforcer, her character deals with the weapons and gadgets side of things. 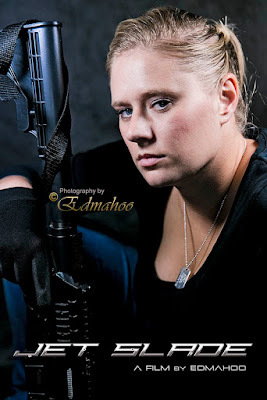 She has already filmed her scene with us, but was so good we hope Ed has time to write another scene for her character. Above is a pre-edited scene featuring Annabel alongside Bridgit who plays Jet. She really enjoyed her time with us and had so much fun as seen in the outtake below.. No matter how much you rehearse your lines, nothing can prepare you for what happens on set on the day of filming, as lead actor Bridgit experienced. We found this clip very funny. It's amazing how we perceive actors on screen... 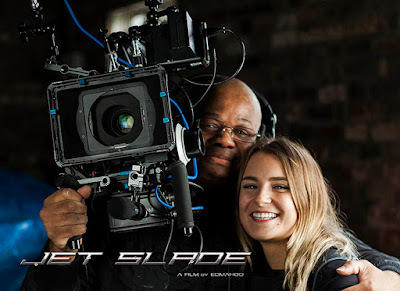 Prior to Annabel joining the cast, Ed sent her a few links to footage that we had already shared on social media... As we were on our way to the location for filming, Annabel admitted that she didn't know what to expect when she met Bridgit, she thought she was this cold person like her onscreen character! We had a laugh about it and was quite pleased, for if Annabel thought this, then other people were thinking the same thing too. 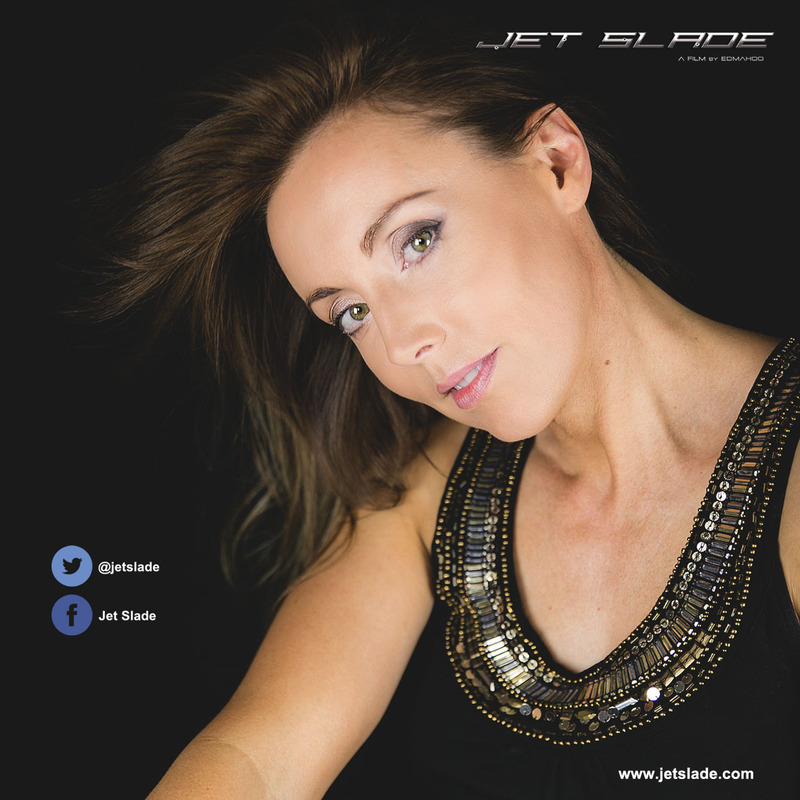 By hearing that, we knew we had done a good job by getting our character Jet right. AND OF COURSE, BRIDGIT'S REAL LIFE PERSONA HAS NO SIMILARITIES TO JET WHATSOEVER. 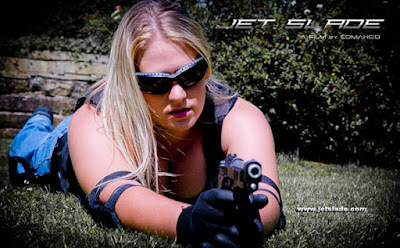 JET IS A FICTIONAL CHARACTER. 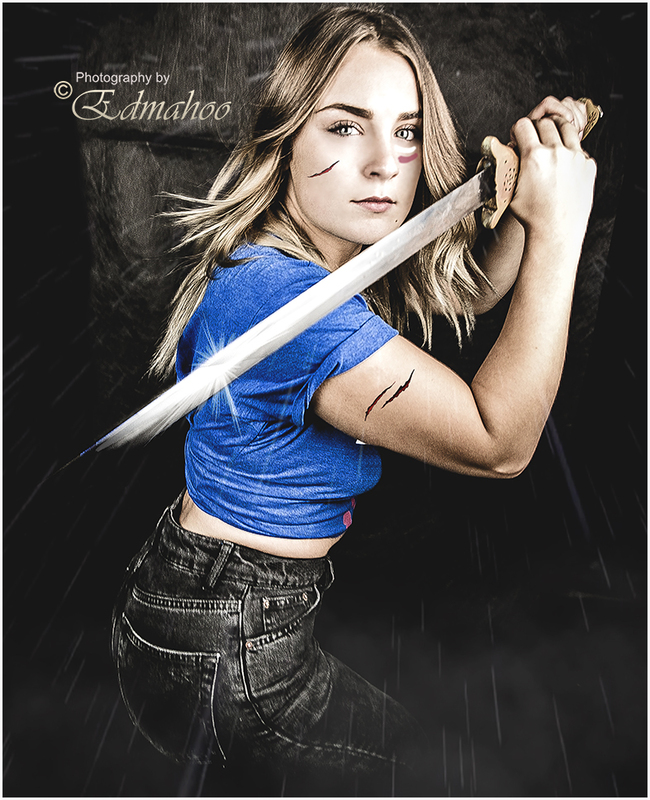 It was an absolute pleasure having Annabel on set with us, she struck up a great rapport with Ed and was really into the technical and production side of things. She asked all the right questions and would also like to be in the studio when she comes back up to Leeds, and watch Ed while he works on the production side of things. None of the cast has ever asked to do this, so it shows just how keen she is to learn and understand the technical side of things. 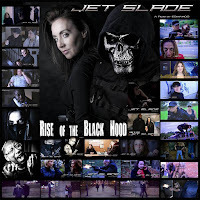 as we come to the finale of Jet SLADE: Rise of the Black Hood. ABOVE: Sifu Reg Jones performing a sword form technique. 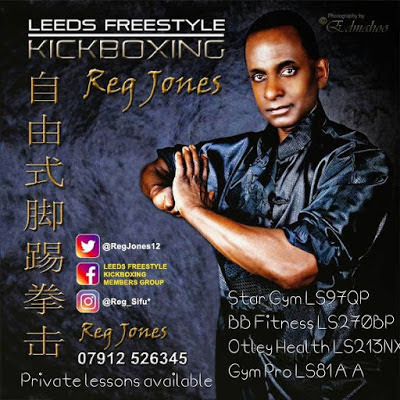 For more information about his classes and what he teaches, please find his contact details below... (And don't forget to mention us). ...The last thing we needed was someone saying they could do something and couldn't, therefore injuring themselves. 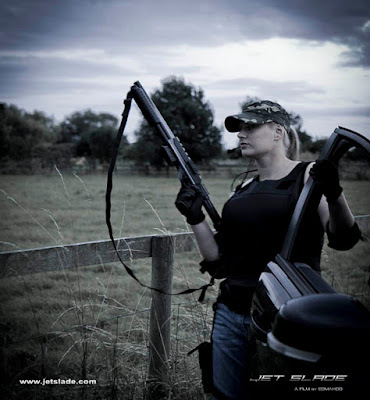 So what has Katie been up to over the last two years? 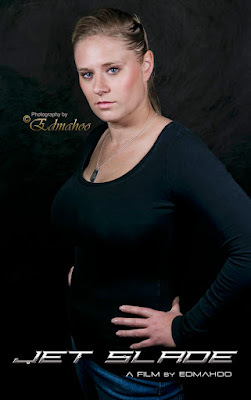 Katie set herself a goal, she was adamant she was going to lose weight! She was 13st when she filmed her scene and appeared in Jet Slade: Rise of the Black Hood. In the picture below, Katie has managed to get her weight down from 13st (a before picture on the left) to an impressive 8st (after selfie picture on the right). 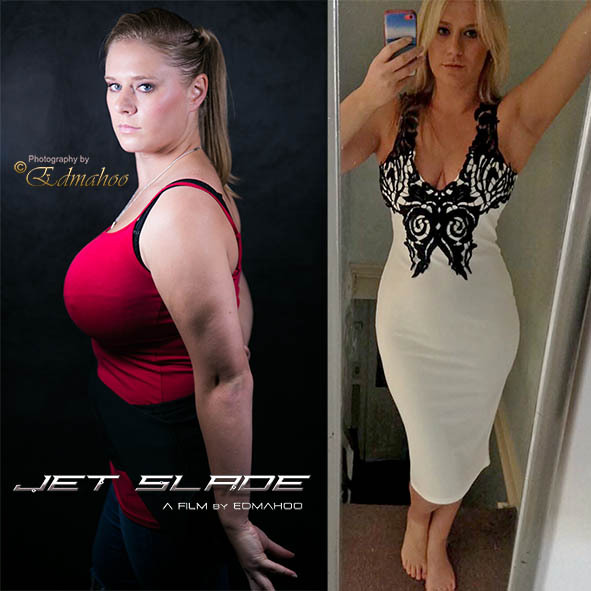 We were so amazed to see her transformation, a huge congratulations to her! Katie has been a familiar face on Emmerdale, a prime time network TV soap and has worked for: BBC, ITV, SKY ONE and an ITV Christmas Series. She is currently involved in other indie features (currently in the works) and her acting work takes her all over the country where she gets a chance to meet amazing people just like the 'Jet Slade Team' and is continually learning her trade as an actor on each set she works on. We wish her every success on her journey! 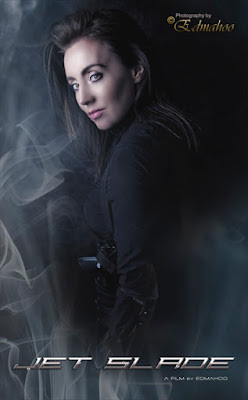 Rochelle joined the cast last year and having experience working on the stage, this is her very first time working on and featuring in an independent film. Her character is that of Chief SLADE Enforcer, of which she has the whole world resting on her shoulders. She looks absolutely amazing in costume. Coming in at such short notice, Rochelle has fitted in really well with the cast, having so much fun along the way. She is a real asset to this feature and has added a new light to the film. 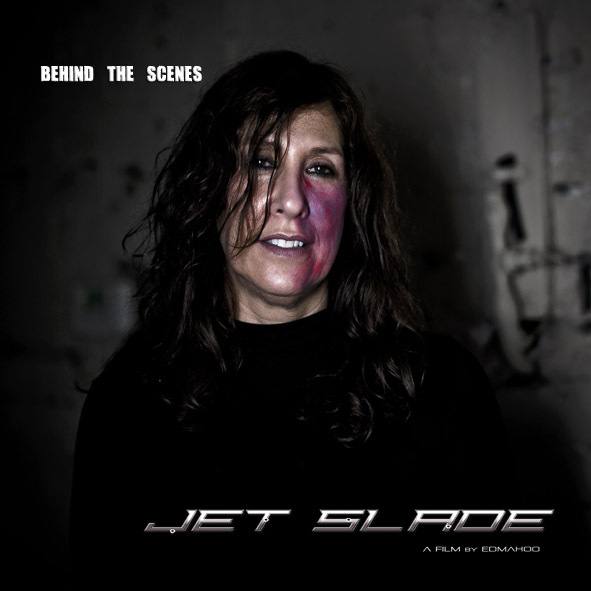 Here's another behind the scenes image of her on the set of Jet Slade, looking all bruised and battered. Rochelle is currently rehearsing her lines for her next scene. 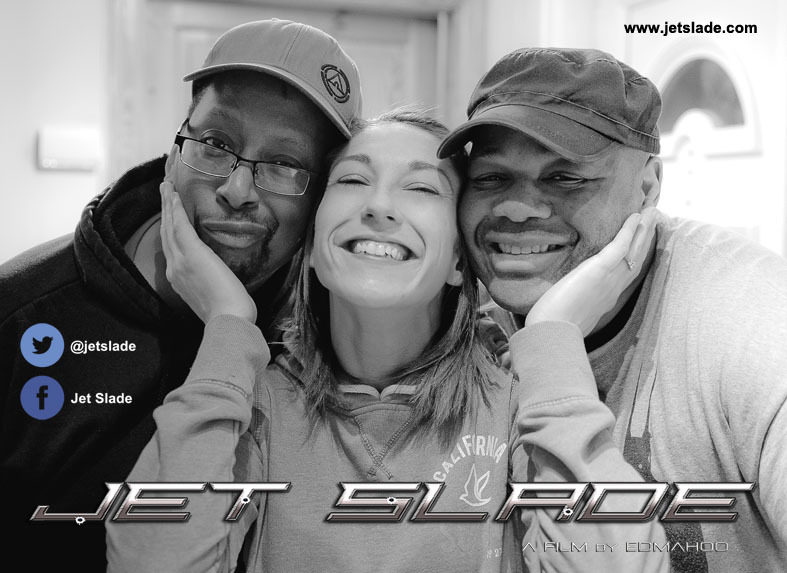 We hope you've enjoyed reading this update, keep a look out for more updates and info on Jet Slade and the rest of the cast. Why not visit our Facebook page and we are also on Twitter. To have an idea and be able bring that vision to life is truly an amazing art in itself. 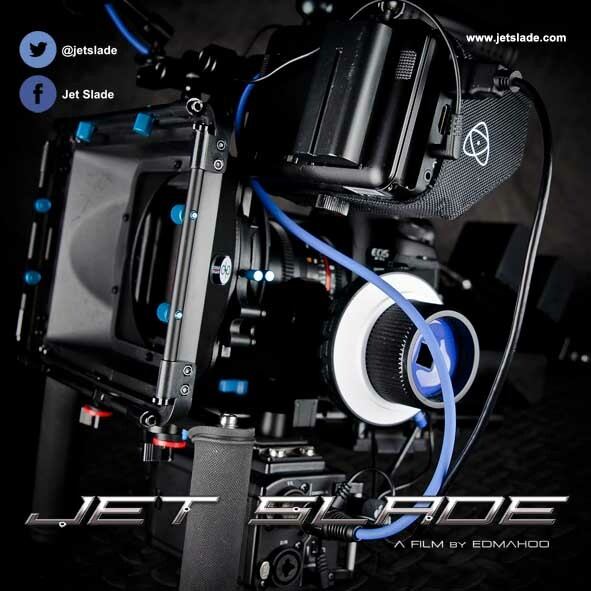 You learn to appreciate the hard work film makers put into the making of a film.